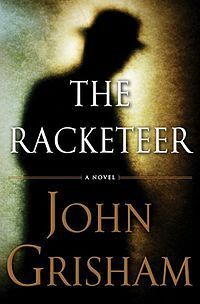 The Racketeer is the first John Grisham novel I’ve read, and I was expecting great things from such a popular and well renowned author. Malcolm Bannister is a disgraced attorney, disbarred from practicing law, and incarcerated at a federal prison camp for a term of ten years. Raymond Fawcett is a federal judge, who has just had the dubious distinction of being only the fifth federal judge in history to be murdered. Judge Fawcett is found murdered at his remote lakeside cabin, the body of his secretary is found alongside him. The cabin contains a large, concealed, secure, state of the art safe, which had been located, opened and emptied. Who killed the Judge? Why did he need such a sophisticated safe? And more importantly, what was stored inside it? Malcolm Bannister can provide the FBI with the answers to these questions, and they just might be his ticket out of jail! Unfortunately, while this all sounds like a very intriguing plot, for the most part, I found the book quite dull. Initially, there seem to be endless scenes in prison rooms between Bannister and the FBI, Bannister and the prison governor, Bannister and his father, Bannister and other prison inmates. The story is basically told as a series of meetings, and I found this a little tiresome. No doubt the scenes are there to tell us how Bannister is really a good guy who is trying to make the best of a bad situation, but this could have been done in so many better, and more interesting ways. Because of the style of narrative, for me, the story unfolds far too slowly. The second half of the book is much more interesting, featuring more locations, some good plot twists and a much needed injection of pace. This will be too little too late for some. I can’t say that I enjoyed reading The Racketeer, in fact at one point about a quarter of the way through, it was so boring that I nearly gave up reading altogether. I have to say that the main reason I didn’t get along with the book was that I didn't really identify with any of the characters. Bannister is supposed to be the anti-hero you’re rooting for, but I could muster little sympathy for him or his situation, and found myself disliking his character intently. Overall, after a very slow start, the book did partially redeem itself in the latter half, with some of the plot twists actually being quite ingenious. So, having invested so much time getting to them, it was worth sticking with it until the end!